Phil. 1:21 "For to me, to live is Christ, and to die is gain"
Ruby went to be with Jesus on Tuesday, April 2, 2019 in Harlingen, TX. She was born July 4, 1931 to Elza Ernest Hobson and Pearl Marie Ellis Hobson. She was the youngest of their three children. Her parents and brother, Carl LeRoy Hobson and his wife, Sue precede her in death. Her husband Daniel Lee Horak also precedes her in death. Ruby and Dan were married August 29, 1953 at First Assembly of God Church in Harlingen. They made their home in Harlingen for 41 years before moving to La Feria in 1994 and then back to Harlingen in 2003. Their union was blessed with and lives greatly enriched by their beautiful children, Linda Darlene Pons and husband, Maxwell Bernard Pons, Jr. and Daniel Alan Horak who survive. Also surviving are 3 precious grandchildren, Stephen Alan Horak, Brittany Morgan Horak and Maxwell Bernard Pons, III (Trey), and a sister, Lelia Martin. Ruby was a member of First Assembly of God in Harlingen for many years. She was also a charter member of Faith Assembly of God in Combes, TX since 1969. Though she was employed 13 years by Southwestern Bell and 19 years by Harlingen CISD, her love for the Lord and for her family were her #1 priorities. 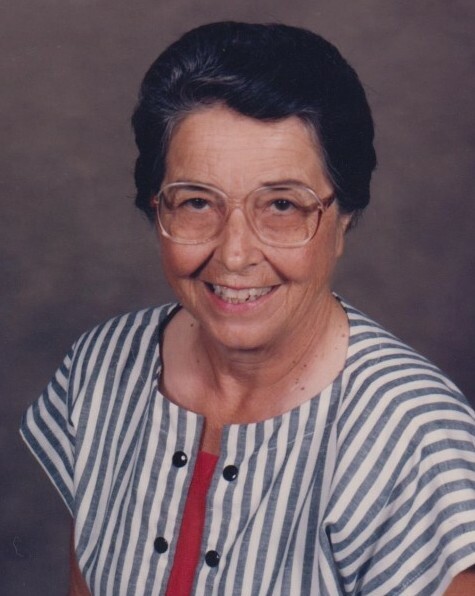 Ruby loved to study the Word of God and taught various Sunday School classes during her life. Other ministries included, Sunday School and Church Secretary/Treasurer, pianist, Women's Ministries Director and nursing home services. A service honoring Ruby will be held at Buck Ashcraft Funeral Home, 10:00 AM, Saturday, April 6, 2016 with visitation before the services beginning at 8:00 AM. It is her request that there be no tears, and no sad farewells. Rejoice! For that goal for which she has striven has been reached. Her final request is that all her friends and loved ones prepare to meet her again in heaven. The family wishes to thank everyone who visited Ruby while she was ill. Many thanks to Harbor Hospice and Angel Care Haven for the dignity shown to their Mom during her last days. Those desiring to do so may make memorial donations to Lighthouse Assembly of God, c/o Prayer Garden, P.O. Box 1408, Port Isabel, TX 78578.